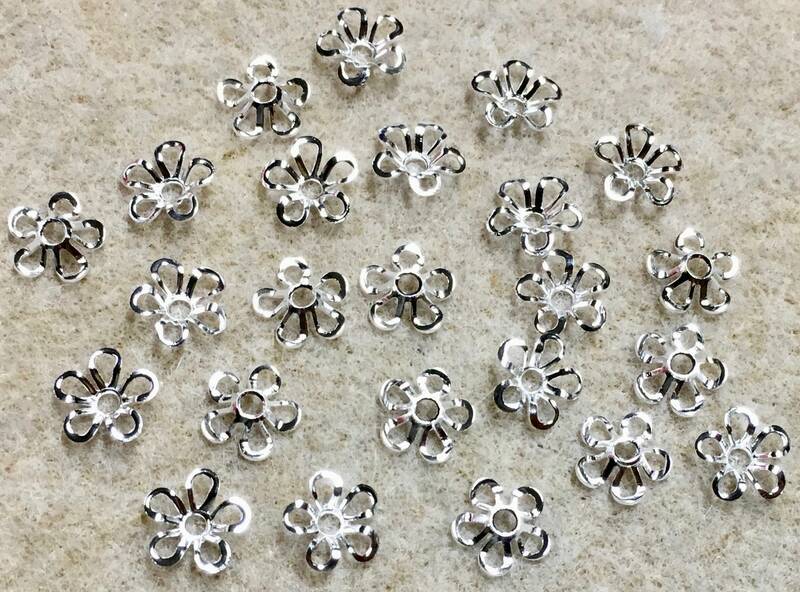 Silver plated 9mm curved flower brass bead caps. Petals of floral bead cap add flair to stacked flowers, Vintage style with a Victorian flair. Sweet little spacers, you'll want to use a bunch of them! Lead free and nickel free. Made in the USA. 24 pcs per package.